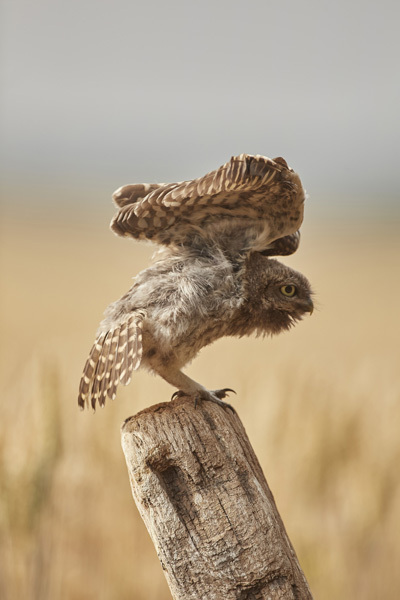 Little Owl owlet, Athene noctua, stretching its wings. 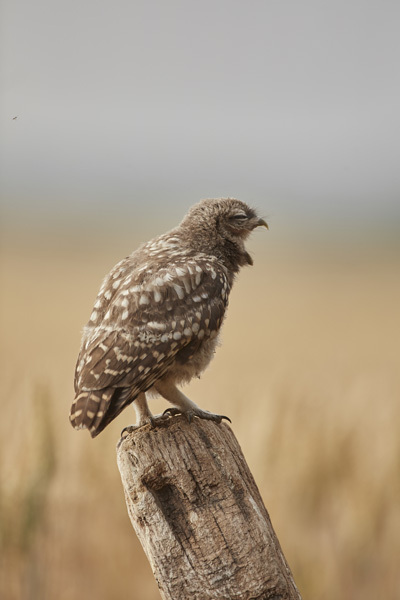 Little Owl owlet, Athene noctua, yawning. 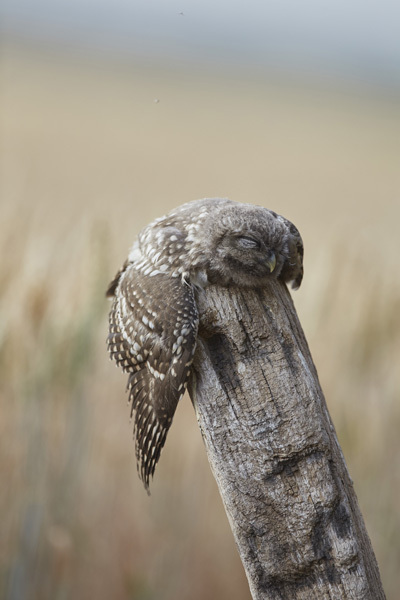 Little Owl owlet, Athene noctua, sleeping on a post.